CANCUN, Mexico, December 11, 2016 (ENS) – Driven by habitat loss, civil unrest and illegal hunting, the global giraffe population has fallen by 40 percent over the last 30 years, and the species has been listed as Vulnerable on the authoritative Red List of Threatened Species maintained by the International Union for the Conservation of Nature, IUCN. The giraffe, Giraffa camelopardalis, one of the world’s most recognizable animals and the tallest land mammal, now, for the first time, is threatened with extinction, according to the new classification, revealed at the 13th Conference of Parties to the Convention of Biological Diversity now underway in Cancun. The species, which is widespread across southern and eastern Africa, with smaller isolated subpopulations in west and central Africa, has moved from a classification of Least Concern to Vulnerable due to a 40 percent decline from approximately 151,700 to 163,450 individuals in 1985 to just 97,560 in 2015. 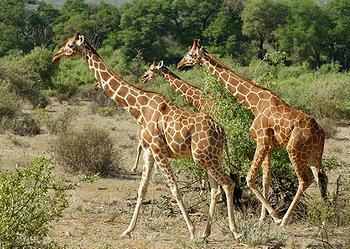 The growing human population is having a negative impact on many giraffe populations. Scientists say that illegal hunting, habitat loss and change through expanding agriculture and mining, increasing human-wildlife conflict, and civil unrest are all pushing the species towards extinction. Of the nine subspecies of giraffe, three have increasing populations, while five have decreasing populations and one is stable. “Whilst giraffes are commonly seen on safari, in the media and in zoos, people – including conservationists – are unaware that these majestic animals are undergoing a silent extinction,” said Australian Dr. Julian Fennessy, co-chair of the IUCN Species Survival Commission’s Giraffe and Okapi Specialist Group. 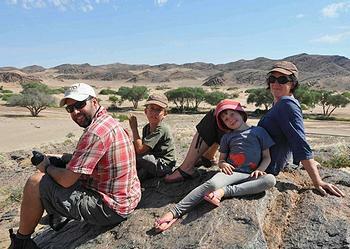 Dr. Fennessy and his wife, German Steph Fennessy, founded and now run the Namibia-based Giraffe Conservation Foundation, GCF, the world’s first and only organization dedicated to giraffe conservation in the wild. Recent research by the GCF, and partners has shown that there are four different species of giraffe and not just one as previously assumed. To unravel the mystery of giraffe genetics, GCF and partners collected almost 200 DNA samples from most major giraffe populations across Africa. 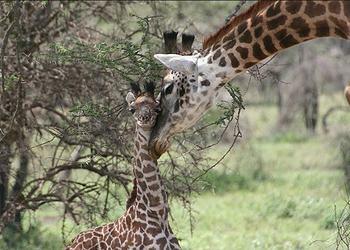 These new findings will inform the future of giraffe conservation throughout Africa. All giraffe species and their subspecies live in geographically distinct areas in Africa, and while some of these have been reported to cross-breed in zoos, there is no evidence that this occurs regularly in the wild. The Zoological Society of London, ZSL, supports the management and monitoring of key sites for giraffe in the wild, including the Tsavo Conservation Area in Kenya via the SMART patrol management system. ZSL has also supported the development of Kenya’s first National Giraffe Conservation Strategy. Giraffes live at both ZSL London Zoo and ZSL Whipsnade Zoo, and ZSL co-hosts the IUCN SSC Giraffe and Okapi Specialist Group with the Giraffe Conservation Foundation. A resolution adopted at the IUCN World Conservation Congress in September called for action to reverse the decline of the giraffe. The IUCN resolution called for greater awareness and efforts to secure the future of these hugely charismatic, iconic and gentle species in the wild, including safeguarding key protected areas.